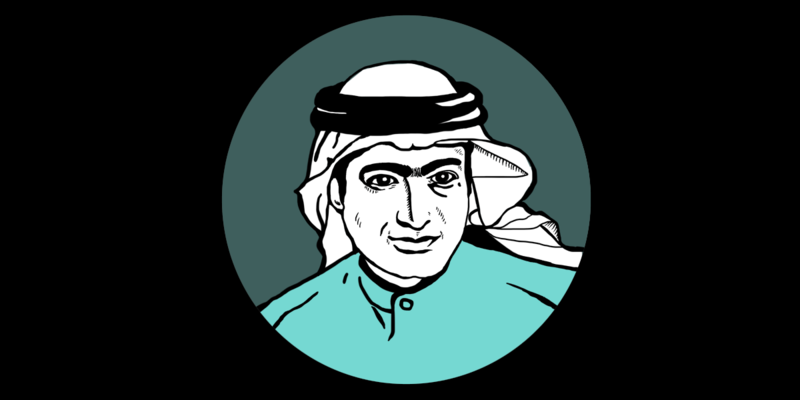 Ahmed Mansoor has been a key figure for over a decade in protesting Internet censorship, surveillance and oppression in the United Arab Emirates (UAE). A telecommunications engineer by training, he studied law in the UAE, and is a published poet. He is currently serving a ten year sentence for “cybercrimes,” after a 2017 arrest that UN representatives described as a “direct attack on the legitimate work of human rights defenders in the UAE.” Before his appearance in court for a brief trial in 2018, he spent more than a year in solitary confinement in an unknown location, without access to lawyers or to his family. Outside the UAE, Mansoor is perhaps best known as “the million dollar dissident.” His prominence and effectiveness as an Internet-connected advocate has led to him being repeatedly targeted by UAE agents using surveillance software, including an attempted attack that exploited three separate security flaws in Apple’s iOS operating system. The exploits were unknown to Apple, making them the kind of “zero-day” vulnerabilities that fetch six-figures on the exploit market. Or they did, until Mansoor raised the alarm. After working with information security researcher Bill Marczak at Berkeley University and the University of Toronto’s CitizenLab, Apple fixed the vulnerabilities within days in an urgent update to millions of iPhone users. It was Mansoor’s quick thinking, and the obsessive interest of the UAE authorities in his everyday work, that led to other technology users being protected from similar attacks. Mansoor, a graduate in electrical engineering from the University of Colorado, was one of the first to highlight the shutting down of free expression on the early Emirati Internet. When majan.net, a UAE news and discussion site, was shut down and its owner and one of its contributors were arrested in 2006, Mansoor organized a campaign to free them. Following public pressure and a successful petition, the charges against the two were dropped. The UAE’s Prime Minister subsequently announced that journalists should not be arrested for their work–strong words that were to be undermined by the Emirates continued repression of online speech. Mansoor continued to work, often successfully, to push back against the UAE authorities’ efforts to control or punish Internet expression. He petitioned against a draft online media law in 2009, which was subsequently abandoned by the UAE government. And in August of the same year, he co-founded www.uaehewar.net, as a media platform for all Emiratis. the main entrance, i told him are you sure they are policemen? he said yes. said they say something related to the car. After eight months of detention the UAE5, as Mansoor and his colleagues became known, were convicted of insulting the rulers of the UAE. Mansoor was sentenced to three years in prison, while the others were each sentenced to two. Human rights observers called the case “a complete sham.” The following day, the five were pardoned by the UAE’s President—but their criminal records remained. The five were targeted with death threats throughout the trial, and Mansoor was subsequently physically attacked and forced to suspend his studies at law school. In 2015, Mansoor was awarded the Laureate Martin Ennals Award for Human Rights Defenders, but was unable to travel to Switzerland to receive the prize due to a travel ban placed upon him by the government of the UAE. Mansoor has continued to fight the downward spiral of human rights in the UAE. On March 19, 2017, in the middle of a campaign to free Osama Al-Najjar, another activist who was being held beyond his sentence, Mansoor was once again taken from his family, this time by a dozen security officials. His wife was not informed of his destination, and Mansoor was cut off from contact from friends and lawyers for nearly a year.